In the upcoming film “Swing Kids,” actor Do Kyung-soo, or D.O. of K-pop group EXO, plays the role of a North Korean solider who falls in love with tap dancing. And the film’s director couldn’t be more satisfied with his acting. Appearing on V Live’s “Movie Talk” program with the cast on Tuesday, director Kang Hyung-chul said Do was the character itself. 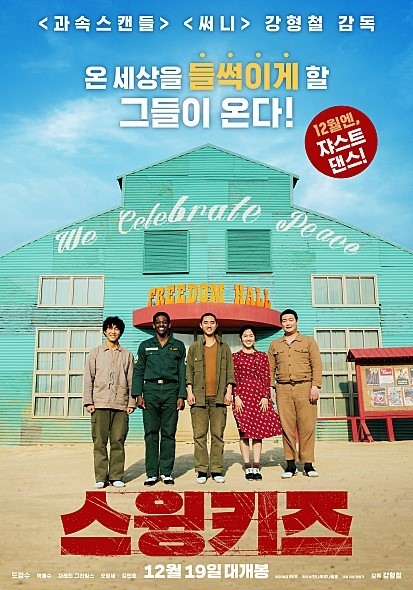 For the film, set in a prison camp of the 1950-53 Korean War, Do had to take up three challenges -- tap dancing, the North Korean dialect and a shaved head. “For me, the most important thing was that I portray the character’s personality to the fullest. I communicated with the director a lot about the character,” the singer-actor said. Do also revealed that he practiced tap dancing whenever he had time for about five months before shooting started and had a private tutor teach him the North Korean accent. During the show, he showed off his tap dancing skills. “I really had a lot of fun shooting this film. There was great teamwork with other cast members and the director,” Do said. Park Hye-su, who plays the female lead, said Do was like a genius who also works hard. “He is very diligent, but at the same time, he has that innate talent,” she said. The film opens in local theaters on Dec. 19. Yuju of GFriend appeared on a V Live broadcast on Tuesday amid rumors about her recent absence from a series of the group’s public activities. “My dear ‘buddy.’ I missed you very much,” she said, referring to her fans by the fan club name. 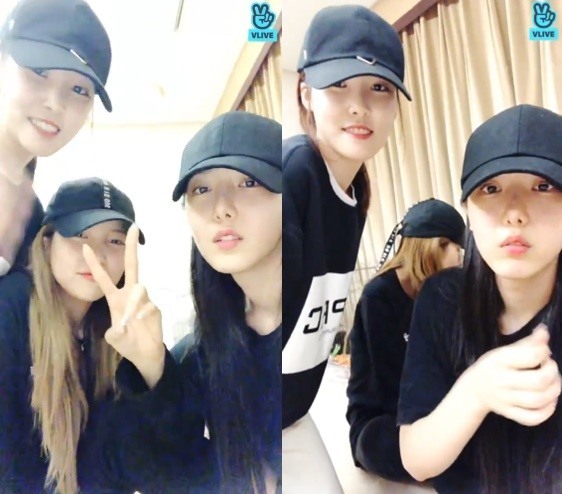 “I will see you soon,” Yuju said, making a guest appearance toward the end of the livestream that bandmates Sowon and Sinb aired from the residence where the bandmates live together. Sowon and Sinb introduced their new furry housemate to fans -- a Bichon Frise named Angko. 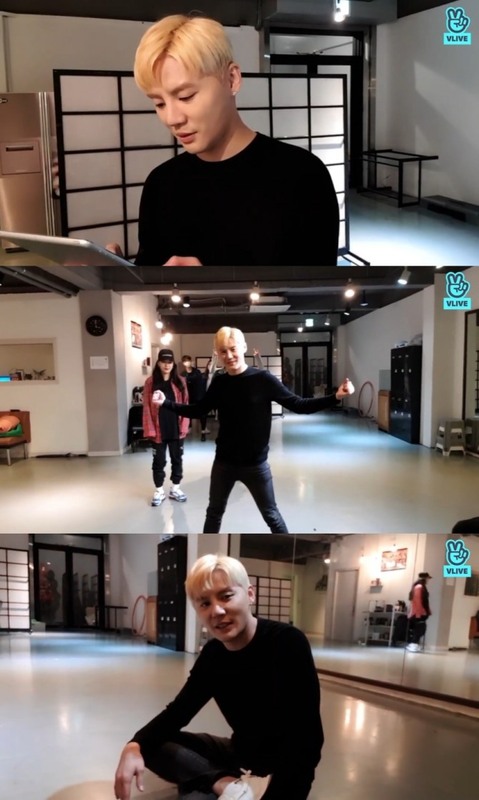 Kim Jun-su, aka Xia, went live at a dance studio where he was practicing for his upcoming solo concerts, on V Live on Tuesday. “Three days left to the start of the concerts and I am busy practicing,” Kim said. The “WAY BACK XIA” concerts will take place in Seoul from Friday through Sunday. Tickets are sold out. Kim, discharged from the Army earlier this month, said while serving his military duty, he had dreamed of performing in front of fans at his own concert. During the livestream, he performed the choreography of “Rock the World,” off his 2016 solo album “XIGNATURE,” at double time.